Imagine this scenario. You are the listing agent holding court in a multiple offer situation. You have five offers on your house which you listed for $699,000. Your expectation was that with any luck you might reach $750,000. Agent Steve’s offer is for $710k, Agent Robert’s offer is for $740k, Agent Susan shows up with $745k, Agent Betty’s clients are $760 and Agent Matthew smokes everyone by bringing in $780k. You have a couple of choices here assuming all offers are clean (no conditions) and have roughly the same closing date. Choice one, accept the highest offer and break out the bubbly, or roll the dice and send them all back in hopes that you can get even more. Sure you might lose one or two but given the current market conditions in Toronto there is a pretty safe bet that you can squeeze a few more dollars for the sellers. So in this scenario you send them all back. The conversation goes a bit like this….thanks for all the offers. Frankly they are all pretty close so the Sellers have requested that we give you an opportunity to improve your offers. In this example all the buyers improve their offers. Agent Steve improves to $725k, Robert gets to $750k, Susan’s clients are tapped out and only improve to $752k, Betty brings back $760k and Matthew’s clients have lost too many homes to go home empty-handed so they lay it all on the table with $802,500. So pretty simple decision really…..or is it? As the listing agent you are in possession of all the offers. There is plenty of time (lets assume irrevocable time is 11:59pm on all offers) so you decide to try something. You call in Agent Steve and have a conversation that goes like this….”Hi Steve great job on the offer but it’s not the highest. However my seller really likes your buyer and wants to make you an offer. We are going to sign it back to you for $820k. I know your clients are waiting outside so I will give you 10 minutes to decide”. If the clients balk you move on to Robert. If Robert’s clients balk you move on to Susan, then finally Betty. If Betty’s client agrees, then they have bought a house. If not, then you still have Matthew’s very good offer. In this example I have kept it pretty simple and haven’t complicated it with deposit amounts or short irrevocable times which might skew the results but the question remains, is this way of handling offer night appropriately? Do you find any moral dilemma in handling things this way? Ultimately you are getting the most for your client so you are doing a great job, but are you just playing with the other agents to the transaction? 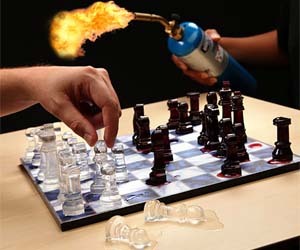 It seems that this is a delicate chess game where a lot could go wrong so ask yourself if the risk out does the reward? We had a big discussion at our company today and couldn’t really pinpoint anything wrong although we did wonder if the listing agent had an ethical duty to let all the other agents know they were in a sign back. sleazy seemed to be bantered around but not illegal. After all is it any different when you have only one offer but kindly ask the Buyer Agent to improve their offer? I’m sure there will be a lot of discussion to follow on this topic and will certainly add additional comments as they come. ← Having Some Challenges With an Agent Bully?